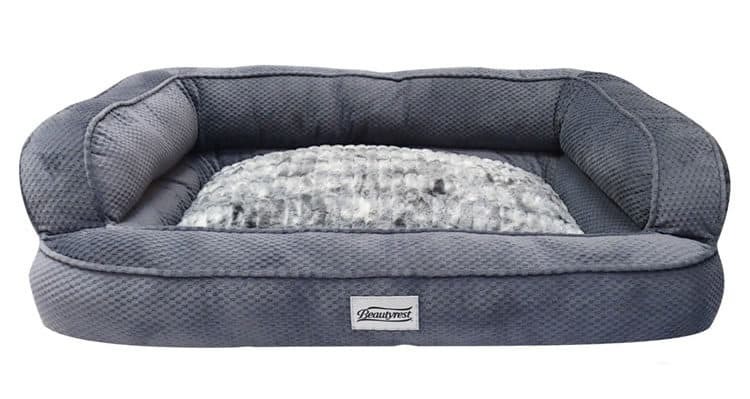 The Simmons Beautyrest Colossal Rest Orthopedic Memory Foam Dog Bed comes in two sizes, medium and large, and two colors, chocolate and silver. 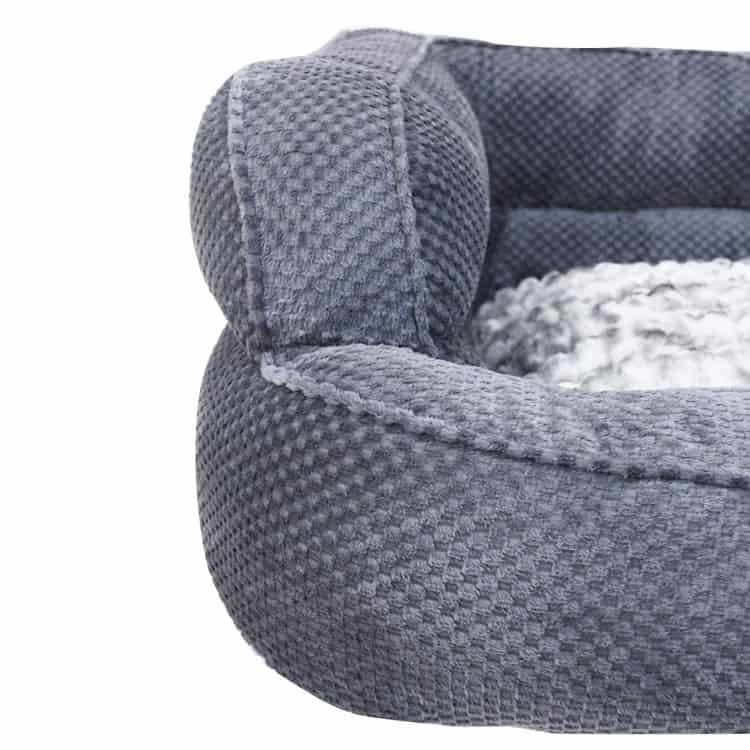 The bed is designed to contour to the body while supporting the dog’s full weight, allowing for restful sleep. The bolsters are thick and provide added support in a variety of sleep positions. 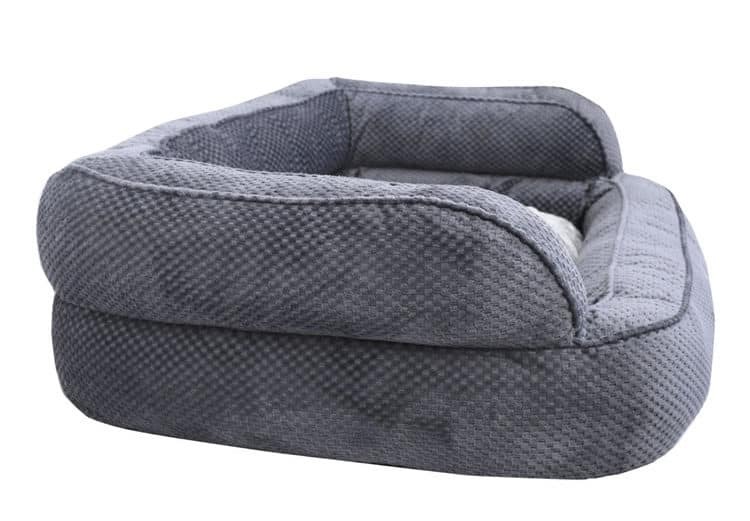 This bed is enjoyed by dogs of all sizes and breeds, and is great for those with joint or health issues. The foam core of this bed is orthopedic memory foam in a chip cushion. 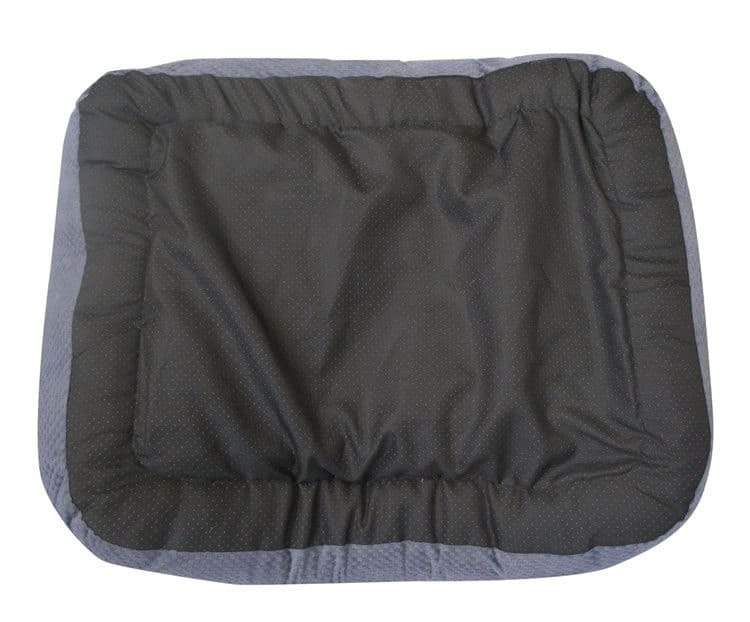 This structure allows the mattress to contour to the body, making it ideal for dogs with arthritis or joint issues. 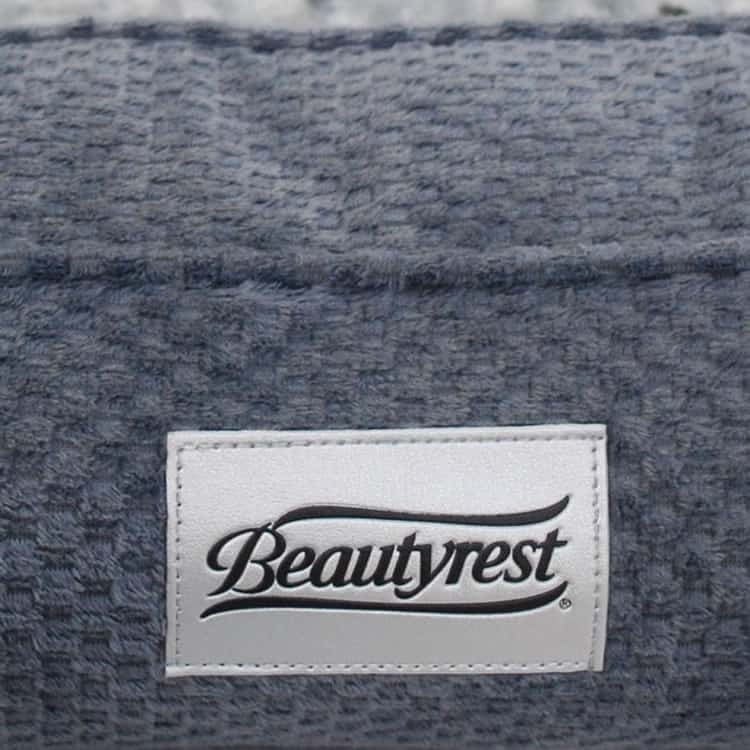 Memory foam in a chip format provides cushion while also providing support, so this bed is easy to get in and out of while remaining soft and comfortable. The support and comfort helps dogs get a more restful night’s sleep. The bed’s bolsters create a comfy couch style and design. The thick supportive padded walls or bolsters are great for added comfort, and provide another place to rest. The non-skid bottom helps keep this bed in place. This feature is especially useful on hardwood or tile floors and works as added security for larger dogs with joint or walking issues. The bed comes in two colors, chocolate or silver, and prices vary according to color and bed size. There is no replacement cover available at this time. The cover is not removable nor is it machine washable. A customer reported that they planned to get the bed dry cleaned in the future. This bed could be spot clean only but there is no indication that the cover, foam core, or bolsters are removable or replaceable. This bed is marketed in two sizes, medium and large/extra large but many customers found the bed to be more on the small side. Some reported that their bed was actually several inches smaller than advertised. A large chocolate lab, around 75 lbs, would need an extra large bed and wouldn’t fit in the 36” bed. Make sure to measure the dog both from head to tail and in their favorite sleeping position to find the correct bed size. Many dogs did enjoy this bed, with those who got the most out of it being small to medium sized dogs.